The iPad finally has some really tough competition. 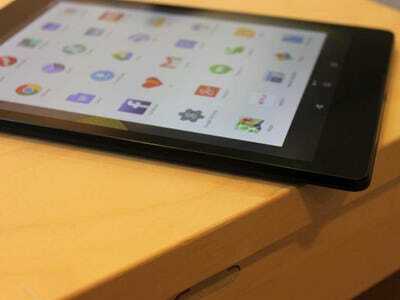 Google hasn’t released a new tablet since its Nexus 7 launched over one year ago. Now, it’s back with the Nexus 9 — its most refined and premium tablet yet. In years, past Google’s Nexus devices seemed to target those shopping on a budget. The first Nexus 7, for example, sold for $US200 when it launched in 2012. The new-and-improved model that launched in 2013 started at $US229, which is still considerably cheaper than Apple’s iPad mini. 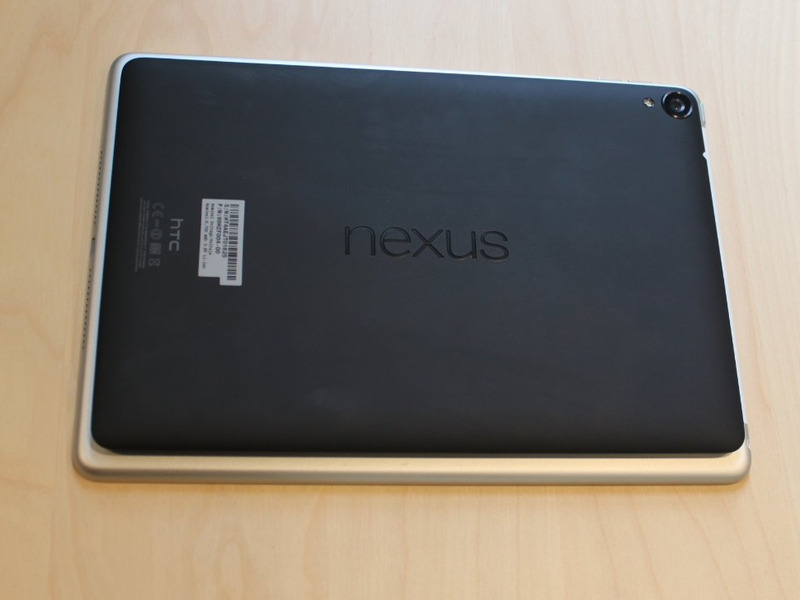 The $US400 Nexus 9, however, feels like the first real high-end tablet to join the Nexus lineup. Its design feels elegant and durable, the screen is super sharp, and its a pleasure to use. After using the Nexus 9 for a few days, here are my first impressions. 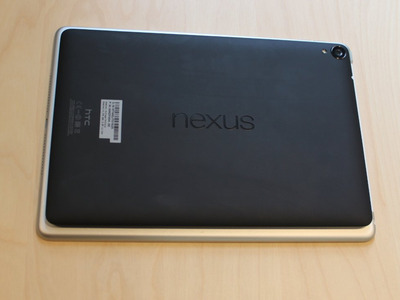 The Nexus 9 gets its name from the size of its screen, although it’s technically 8.9 inches. The screen is also among the sharpest Google has put on a tablet yet, with a resolution of 2048 x 1536, packing 287 pixels per inch. Its powered by a 64-bit Nvidia processor, which basically means it can perform faster and support more memory than less-advanced mobile processors. 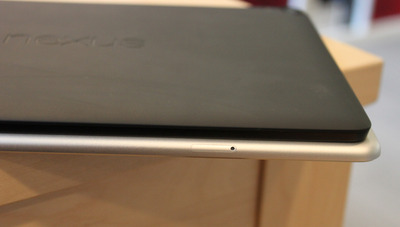 The first thing you’ll probably notice, however, is how different the Nexus 9’s software is. The Nexus 9 comes with Android Lollipop, Google’s newest version of Android. There are plenty of under-the-hood changes that come with Lollipop, but Google has also revamped the software’s design. It’s much more colourful, and there are tons of subtle animations and transitions hidden throughout the interface, which Google calls Material Design. There’s also a 1.6-megapixel camera for video chatting and taking selfies on the front, and an 8-megapixel main camera on the back. Google has built Near Field Communication into the tablet, too, which means you can tap it against an accessory to pair it instead of tethering through Bluetooth. It will come in 16GB and 32GB configurations with black, white, and “sand” colour options. The 16GB sells for $US400, while the 32GB version costs $US479. Google will release a version with a cellular data connection in a few months. If you were waiting for an Android tablet that looks and feels just great as the iPad, this is it. The back of the tablet is made of a sturdy aluminium metal that’s coated with a soft-touch finish. It’s the first Nexus tablet to come with a metal frame, so it’s a bit heavier than Google’s previous tablets. It’s a worthwhile trade-off, though, since the build quality feels more superb than its predecessors. HTC built the Nexus tablet for Google this time around, so you can expect to see the same build quality as its One phone. The only downside, however, is that the back of the tablet picks up fingerprints very easily. The smudges aren’t as distracting as they are on the Sony Xperia Z2 Tablet, which was completely covered in fingerprints almost instantly, but it’s still somewhat noticeable on the Nexus 9. 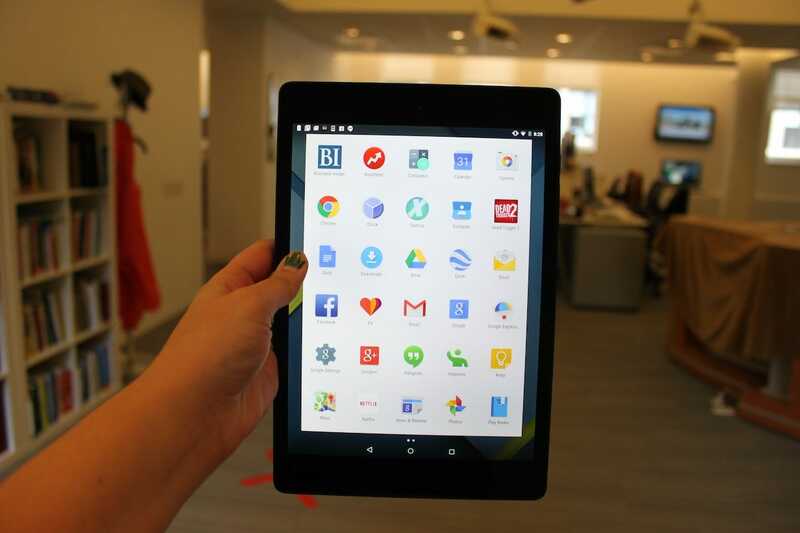 Google’s previous tablets came in 10-inch and 7-inch sizes, and the new 8.9-inch Nexus 9 falls right in between. The company said it wanted to make a tablet with a screen that’s large enough for getting work done that’s also small enough to carry comfortably. The Nexus 7 was a little too small for productivity and its 16:9 aspect ratio wasn’t ideal for editing documents and spreadsheets. It was meant for consumption more than creation, but Google hopes its new tablet will excel at both. Over the past several days, I’ve been using the Nexus 9 for most of my personal needs — i.e. checking email, watching Netflix, looking at social media feeds, and reading. Although the tablet is generally slim and light, it was still slightly difficult to use in one hand since it’s a bit wide. The tablet also heated up fairly quickly as I was playing “Dead Trigger 2.” After just a few minutes of gameplay, I noticed the upper right corner of the tablet near the camera was starting to get hot. The screen is incredibly responsive, too. The subtle yet charming animations in Lollipop appear even with the lightest taps and swipes. Google has outfitted its new tablet with a display that’s just as sharp as it is bright. Whether you’re watching Netflix, movie trailers, or just looking at photos on Facebook, the screen is crisp enough to discern fine details and renders colours beautifully. One of its more notable capabilities, however, is its wide viewing angles. If you’re looking the screen from either side, you won’t have to worry about glare getting in the way. The screen on Apple’s new iPad Air is slightly brighter than that of the Nexus 9, but colour accuracy and detail appeared to be about the same on both tablets. Playing games with demanding graphics ate away at the battery much more quickly than the other tasks. If you use your tablet to stream services like Netflix or play games most often, you’ll probably get a little less than what I got while using the Nexus 9. The Nexus 9 is the best Android tablet you can buy right now. It’s a gorgeous device with a beautiful screen and the most up-to-date software from Google. It’s well worth the $US399. If you’re trying to decide between the Nexus 9 and the iPad mini or iPad Air, there are a few things to consider. Apple has more apps in its App Store that are optimised for a tablet-sized screen. There are still many apps in the Google Play Store that appear as blown-up versions of apps meant for Android phones, which could be an annoyance. If you’re looking for a smaller sized tablet, the iPad mini is also easier to hold in one hand than the Nexus 9. If you plan on using your tablet for work occasionally, the Nexus 9 may be a better choice. Android 5.0 Lollipop comes with keyboard shortcuts that work with Google’s keyboard for the Nexus 9, making it more optimised for productivity than Apple’s tablet. The Nexus 9 is a worthwhile alternative to the iPad for those who prefer Android. It even feels like an iPad.